By now, you may have heard about the St. Louis mom who wasn't allowed to take a Disney cruise because she was 25 weeks pregnant. Cry me a river, sweetheart. You've got to play by the rules. Disney has a policy that says if a woman is 24 weeks or more pregnant or will reach 24 weeks during the time of the cruise, she will not be allowed to sail. Simple as that. Most cruise lines have similar policies, though some restrict sailings by pregnant women even earlier than 24 weeks into their pregnancies. While most cruise ships have pretty decent medical facilities -- such as those aboard the Ruby Princess which we had occasion to visit during our 2016 Alaska cruise -- they are definitely not neonatal intensive care units (NICUs). A baby born prematurely during a cruise would be severely at risk and could possibly need to be airlifted to the nearest NICU, likely hundreds of miles away. The lady in question, who was pregnant with her third child, also tried to make much of the fact that guards at the terminal had (wait for it) GUNS! In her video, she implies that "Disney is escorting us off at gunpoint," which was so far from the truth as to be laughable. Nobody was pointing a gun at her or her family, and the guards aren't Disney people in any case; they're local LEOs (law enforcement officers) or DHS officials who guard ports just as they guard airports. To the everlasting credit of the saner people on this planet, the overwhelming majority of the comments were along the lines of, "She's trying to create drama where there is none," and "Disney did everything they could to try to help and (she) insulted them every step of the way." Others said, "Why do you think you're the exception to the rule?" and pointed out that she must have known the rule, because she had come armed with a note from her doctor saying it was OK for her to take the cruise. Doesn't matter. The cruise lines' policies are their policies; presenting a note from your doctor is very much like whining, "But my mommy said I could!" And Disney's policy clearly states that, "Neither a physician’s medical statement nor a waiver of liability will be accepted," as shown below. 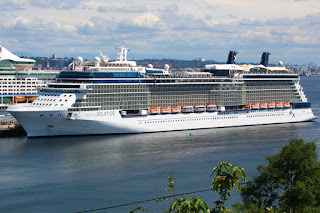 Celebrity Cruises cannot accept guests who will have entered their 24th week of pregnancy by the beginning of or at any time during the cruise or cruise tour. All guests are required to sign a health questionnaire at check-in to ensure they are aware of its pregnancy policy. A physician’s “Fit to Travel” note is required prior to sailing, stating how far along (in weeks) a passenger’s pregnancy will be at the beginning of the cruise and confirming that she is in good health and not experiencing a high-risk pregnancy. Disney Cruise Line: Women who have entered their 24th week of pregnancy as of their embarkation date or who will enter their 24th week of pregnancy during the cruise will be refused passage due to safety concerns. Neither a physician’s medical statement nor a waiver of liability will be accepted. Holland America Line: Women cannot have begun their 24th week of pregnancy at any time before or during the cruise. Pregnant guests must provide a physician’s letter stating the expected due date, medical fitness to travel and the pregnancy is not high risk. Princess Cruises does not allow pregnant women to sail if they are entering the 24th week of their pregnancy by the last day of the cruise. All pregnant women are required to produce a physician’s letter stating that mother and baby are in good health, fit to travel and the pregnancy is not high-risk. 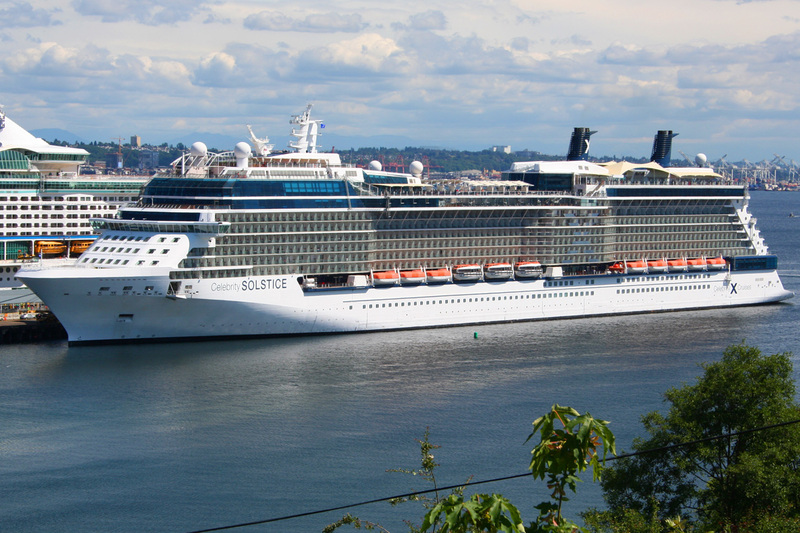 A complete list of cruise lines and their policies can be found here. Future, possibly pregnant passengers should be sure to confirm their cruise line's policy with their travel agent or the cruise line before booking, as the policies are subject to change. And remember: you are not the exception to the rule. Get over it.